Hi friends! 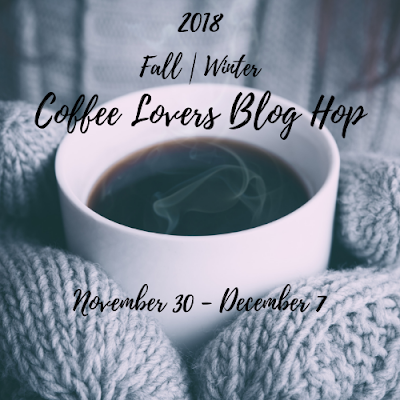 It's already Day 6 of the Fall/Winter Coffee Lovers Blog Hop! 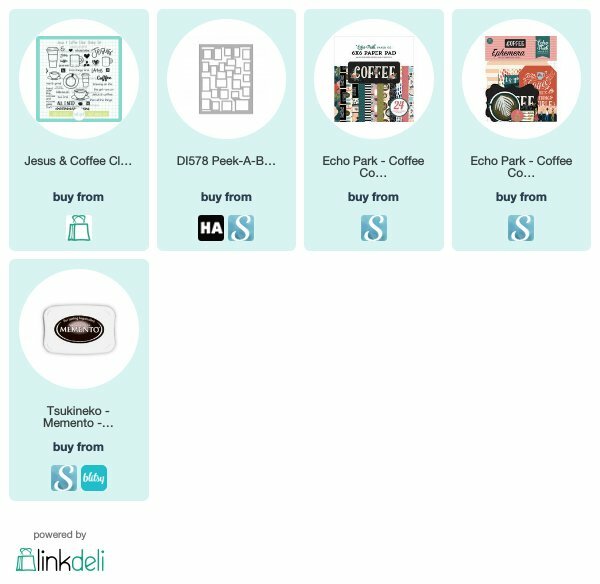 Today I'm sharing a fun little card I made with all sorts of coffee goodies. I really wanted to use the new Coffee paper and ephemera from Echo's park, so started by die cutting a 4.25" x 5.5" piece of the chalkboard pattern with the Hero Arts Peek-A-Boo Doors Fancy Die. I just love the dimension this adds, while still keeping the card pretty flat for mailing (except for my myriad of embellishments I always end up adding! Haha!) I added this to a white card base and set aside. It’s a wonderful life...after coffee! Lol, very cute. Love the black and red combo here, it packs a punch! So great! Love that background paper!! Beautiful card! 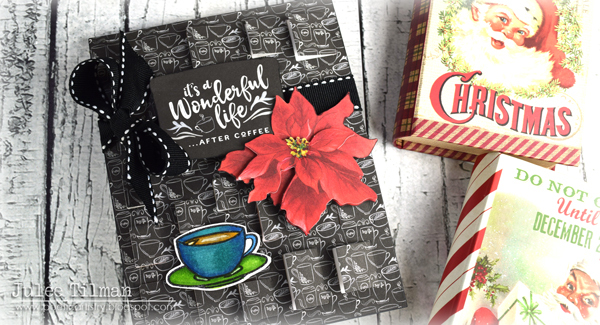 Love how you used the door die and the poinsettia is so pretty! Wonderful card--viewed while breathing in the scent of and sipping the joy of Coffee! Wonderful design. I love that wonderful poinsettia and the doors in your design. Julee, this is so pretty! That die coverpanel is so fun, especially with that paper. I love the sentiment, Julee..it's my all time favorite movie too!!! Wow stunning card and layout. Love this card. 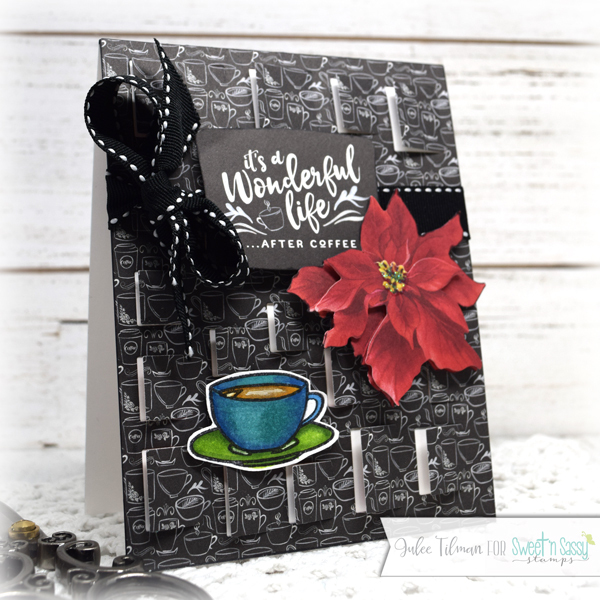 Love the paper and the poinsettia and the die, a Beautiful card. Wow, a breath of fresh air, such a sophisticated design, Love it! I will admit this is stunning! This is so incredibly cute. Love how you created that background.